Drug maker Ranbaxy Laboratories Ltd is expecting the consultant assessment of its Dewas manufacturing facility in Madhya Pradesh, under the scanner of the US Food and Drugs Administration (US FDA) since 2008, to be over by December. The assessment report will provide guidance to the company towards the corrective measures to meet the regulator's requirements. In May, Ranbaxy hired two US-based consultants to advise it on remedial work to be done at its manufacturing units in India. This was part of a consent decree signed with FDA to revoke a ban imposed on the company's various products produced in India, after it was found guilty of violating US manufacturing rules. "The management is working closely with third-party experts and FDA with respect to consent decree. The consultant assessment report for the first phase is expected by December. After that, we will see what needs to be done," Arun Sawhney, chief executive officer and managing director, told analysts after announcing its earnings for the quarter ended September. Ranbaxy's three key Indian facilities at Paonta Sahib and Batamandi (both in Himachal Pradesh) and Dewas have been on the US regulator's import alert since 2008. FDA had banned 30 generic drugs produced by Ranbaxy at these three units, citing gross violation of approved manufacturing norms. The regulator had also stopped marketing approval of new products from the company's Indian facilities after it found violations. Though the settlement allowed the company to resume drug imports from India, it prevents Ranbaxy from manufacturing drugs at the Paonta Sahib, Batamandi, Dewas and Gloversville facilities for introduction to the US market and for the President's Emergency Plan for AIDS Relief programme until drugs can be produced at such facilities in compliance with US manufacturing quality standards. The Daiichi Sankyo-owned company had also closed its Gloversville facility in New York in July last year. According to an analyst, the first phase of the consultant assessment would cover study of Ranbaxy's Dewas facility and the company is likely to take around two years to implement the corrective measures and get a final approval. "The same at Paonta Sahib may take even longer as the violations there are understood to be even serious," he added. Ranbaxy, under the decree, has committed to strengthening procedures and policies to ensure data integrity and to comply with current good manufacturing practices in order to lift the ban imposed on its plants in India. 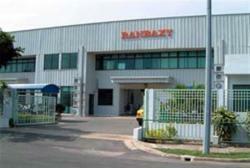 Post the US import alert, Ranbaxy has shifted many of its products to its Ohm facility in the US. Recently, it has started expansion in the US to tackle capacity constraints. Besides, the new Mohali unit, which secured FDA approval in late 2011, is also a boost for the company whose US sales suffered for around three years.